Home > Financial News. Simplified. > Is India’s Largest Fund House Taking Investors For Granted? You may have heard the popular quote ‘rules are meant to be broken’, often used by many as a virtue of creativity to think out of the box. While I am not saying that the one using this quote may always intent to break the rules or act unethically; but those backing this may be expected to have a tendency to break the rule for a favourable outcome or self-interest. Few unscrupulous minds probably embrace this quote as a rule in itself to back their crooked deeds or play with the gaps in the rule for their advantage. Recently, I wrote how a top fund house merged its popular balanced schemes with other different style funds as an act of recategorization. Probably there was a better way to implement this, but the fund house chose to rather discourage and confuse its investors by making it a daunting task altogether. To break the suspense, here is the link to the write up: Why HDFC Mutual Fund Killed HDFC Prudence and HDFC Balanced Fund. While HDFC Mutual Fund could have easily kept things simple, it has instead kept the investors wondering. To clear the air on its move, the fund house however, ultimately sent a communication to the investors of HDFC Prudence Fund and HDFC Balanced Fund about how the change impacts them as an investor in the fund. It seems the authorities at the fund house have finally realized that, it needs to communicate with the investors to clear the mystery surrounding their move and existence of the funds. Source: email communication from the fund house to its investors, dated June 20, 2018. 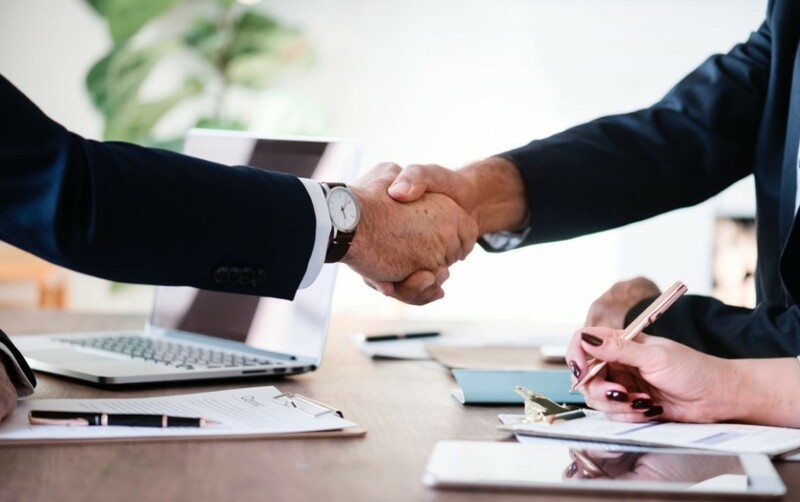 In its communication, the fund house has tried to justify that the features of HDFC Prudence Fund and HDFC Balanced Fund have not changed much after their merger into HDFC Balanced Advantage Fund and HDFC Hybrid Equity Fund respectively. 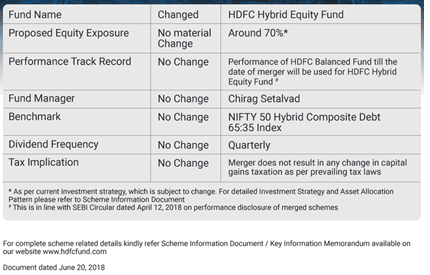 Moreover, it has clearly stated that it will be using the performance of HDFC Prudence Fund for HDFC Balanced Advantage Fund, and HDFC Balanced Fund for HDFC Hybrid Equity Fund till the date of merger. It has further highlighted that this is in line with the SEBI Circular dated April 12, 2018 on performance disclosure of merged schemes. While the step taken by the fund house towards reducing the confusion is much appreciated, it will be unfair on my part, if I don’t add a follow-up on the development post my earlier analysis and provide clear guidance to the readers. Now the question is: which of these rules applies in this case. 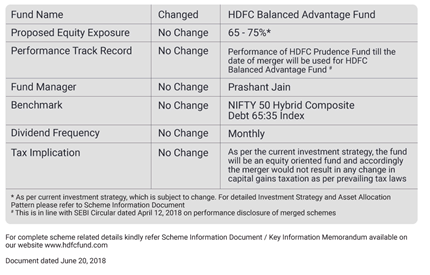 If you read the addendum to change notice, the fund house had changed the features of HDFC Growth Fund to rename it as HDFC Balanced Advantage Fund; while the features of HDFC Premier Multi Cap Fund were changed before renaming it as HDFC Hybrid Equity Fund. It further states that HDFC Prudence Fund will be merged into HDFC Balanced Advantage Fund and HDFC Balanced Fund will be merged into HDFC Hybrid Equity Fund. While clause ‘a’ and ‘d’ are clearly not applicable in this case, can the performance of HDFC Prudence and HDFC Balanced Fund be retained, as the fund house claims to? Didn’t the fund house change the features of HDFC Growth Fund and HDFC Premier Multi Cap Fund and renamed them, before merging the popular balanced funds into them. Indirectly the fund house has kept HDFC Growth Fund and HDFC Premier Multi Cap Fund alive in a new avatar. The NAV of HDFC Prudence Fund and HDFC Balanced Fund has been discontinued w.e.f. June 2, 2018. HDFC Balanced Advantage Fund now carries the NAV of HDFC Growth Fund. Similarly, HDFC Hybrid Equity Fund carries the NAV of HDFC Premier Multi Cap Fund. So, even if the fund house claims to retain the historical performance of its popular balanced funds till the date of merger, will their historical performance be adjusted while calculating the long term performance of the funds in future? How it will be done is still a question mark. Notably, the historical NAV’s of HDFC Prudence Fund and HDFC Balanced Fund are not adjusted in the current NAV’s of the newly formed funds for one to account the historical performance of HDFC Prudence Fund and HDFC Balanced Fund post-merger. Even the data aggregators and independent rating agencies have discontinued HDFC Prudence Fund and HDFC Balanced Fund from their list and have added them to the redeemed funds list. Will the fund house ask data aggregators and independent rating agencies to adjust the historical performance of HDFC Prudence Fund and HDFC Balanced Fund till the date of merger and provide a fair long term track record for these funds? Or will it be a data point available only with the fund house and presented as performance history in fund fact sheets. In my opinion, there is much more the fund house needs to do on this front to increase transparency and for the convenience of its investors. Otherwise the whole exercise will be futile, while investors will have to settle themselves with half-baked and rather imbalanced track record for their favourite balanced funds. Although the objective of rationalization and categorization was to bring in more transparency, keep names simple to reflect their true investment style and eliminate unwanted and duplicate funds, there are many examples where the larger fund houses have played smart to have things their way. Instead of changing the scheme names or merging them with other similar schemes, some fund houses preferred to change the fundamentals and category of few of their schemes to a very different style, even though it did not match the investor’s objective of investing in those schemes. Moreover, the larger players are still using the close-ended route to flood the industry with NFOs with style much similar to their existing schemes. A point to ponder is are these NFOs actually needed, do they offer a unique investment proposition, or is it a strategy to garner more AUM. Shouldn’t the fund houses focus on improving the performance of their existing funds instead of pressuring fund managers to manage more products? Duplicate schemes only led to confusion among investors, and the regulator did its bit by asking the fund houses to eliminate duplicate and unwanted schemes. But unfortunately, the close-ended window is still open which allows the larger players to play with the rules. Hope the regulator acts on this front too. In the whole rationalization and categorization exercise, we found smaller fund houses to be much responsible as compared to larger ones. The process we follow at PersonalFN, is quite stringent where we give significant weightage to the process and systems followed by the fund house. This helps us identify quality funds that are fundamentally strong, have potential to generate wealth in the long term and more importantly that are driven by strong systems and processes.